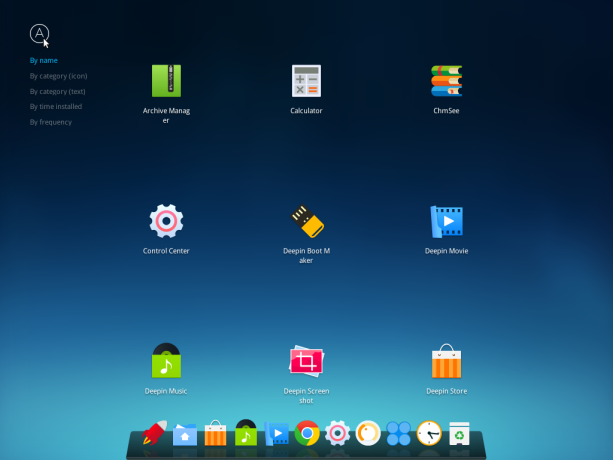 Deepin 15 Alpha 2 (or is it Deepin 2015 Alpha 2?) 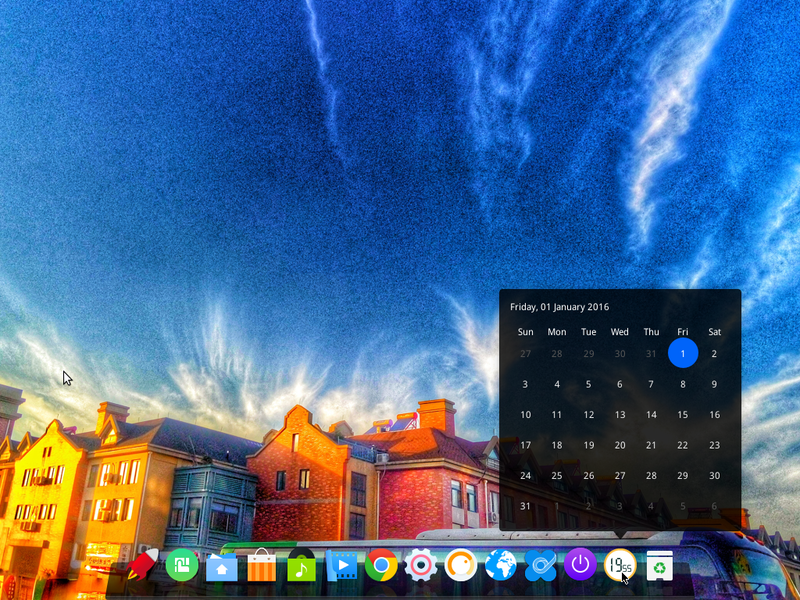 is the latest pre-stable release of what will become Deepin 15 (or Deepin 2015). It was made available for download and testing yesterday. 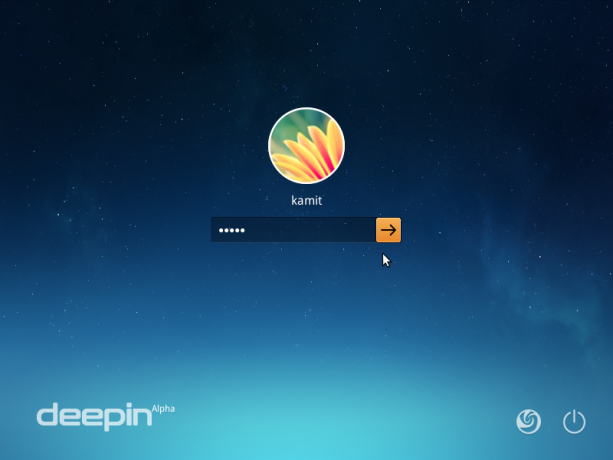 Deepin is based on Ubuntu Desktop and developed by some fine folks in China. 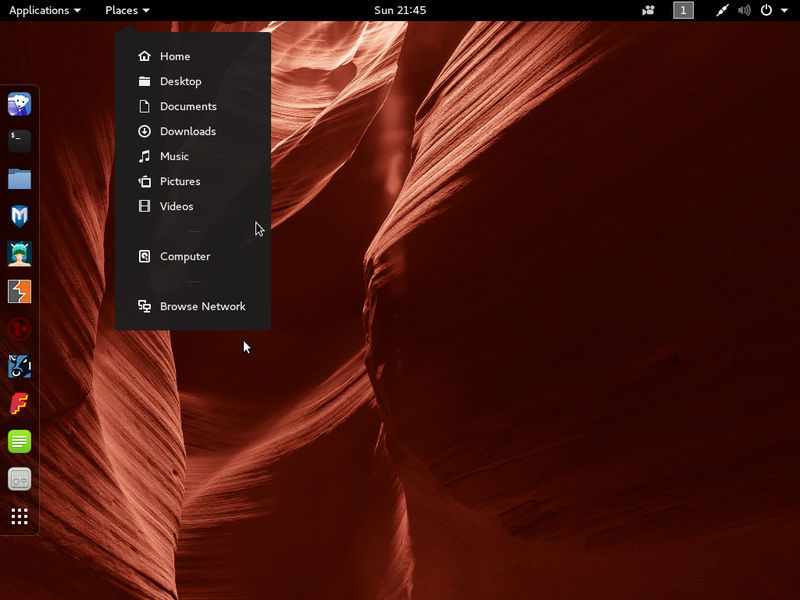 Like all Ubuntu-based desktop distributions, the Unity desktop is not the distribution’s desktop environment. 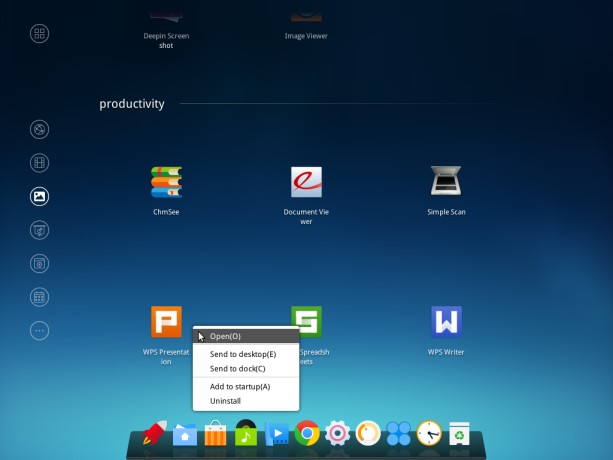 That function is filled by Deepin, a desktop environment developed by the same folks working on the distribution. 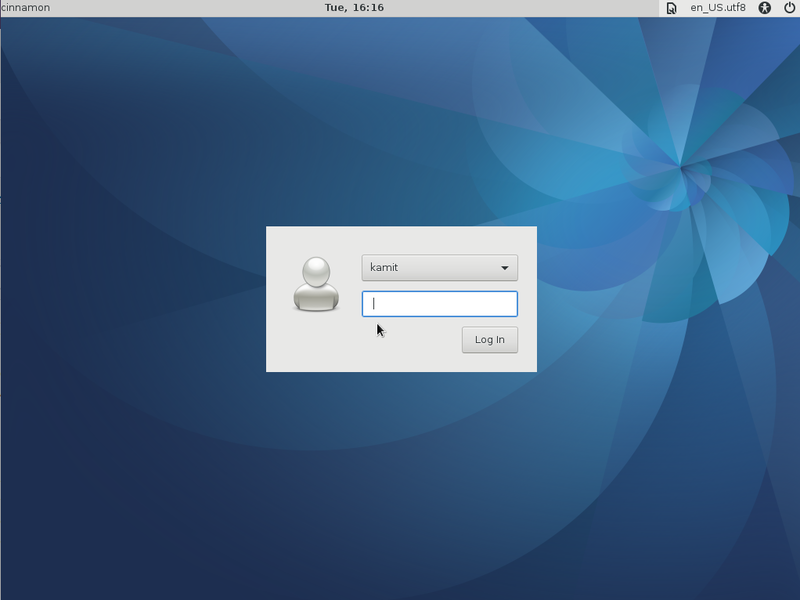 It’s like the Cinnamon desktop from the developers of Linux Mint, but a whole lot better. 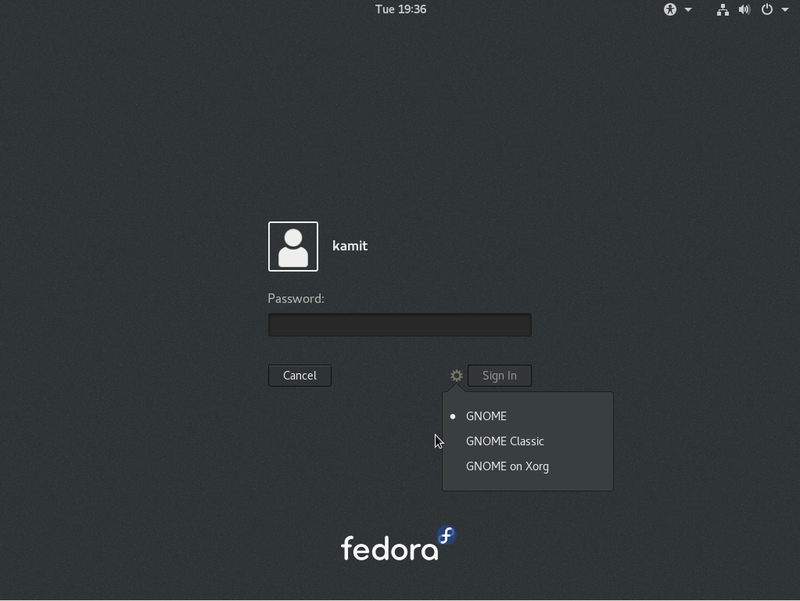 I don’t know when the stable edition will be released, so while we wait, here are some screeshots from a test installation to showcase some of the features of this wonderfully-made Linux desktop distribution. This here is the login screen. 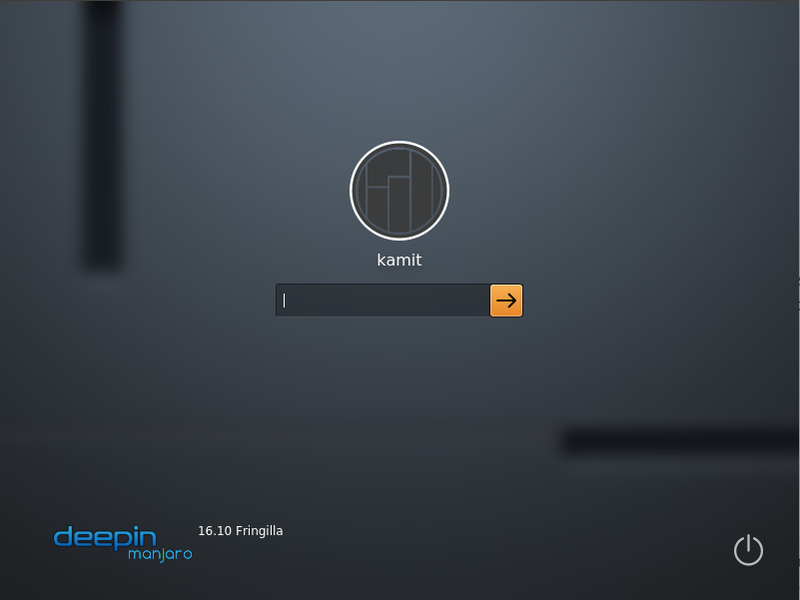 You have a choice of logging into the default session or to a Deepin 2D session. 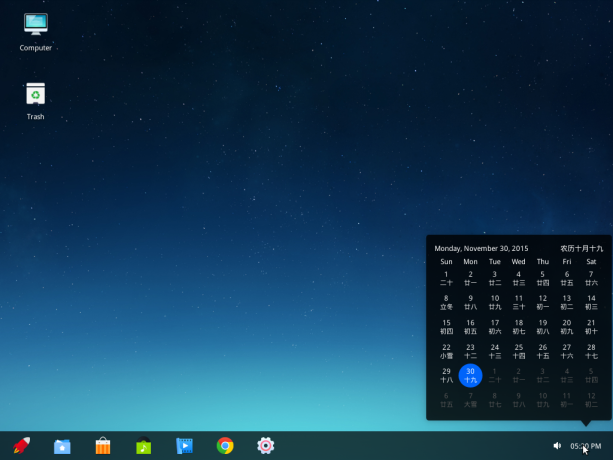 The default Deepin desktop. 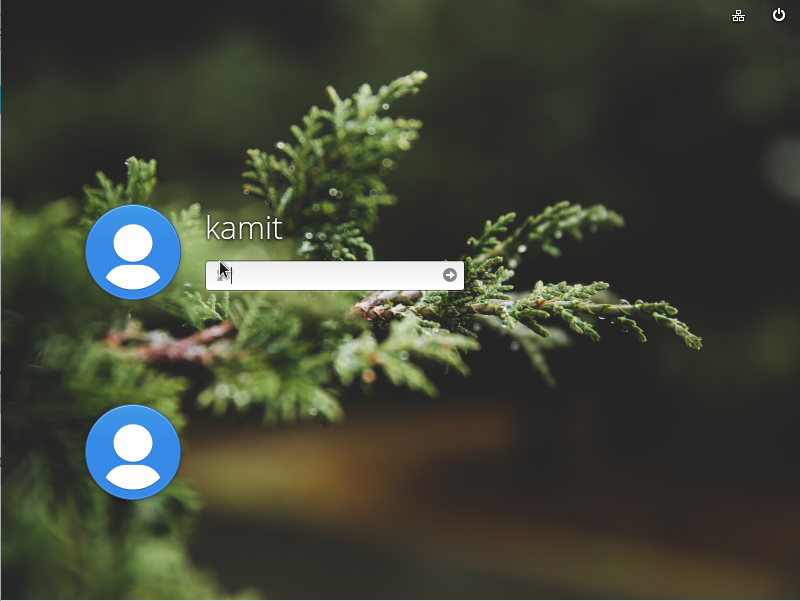 On the default desktop, the dock is said to be in Fashion mode. In this variation, the desktop is in Efficient mode. A third mode – Classic mode, is similar to the Efficient mode, but the icons on the dock are smaller. 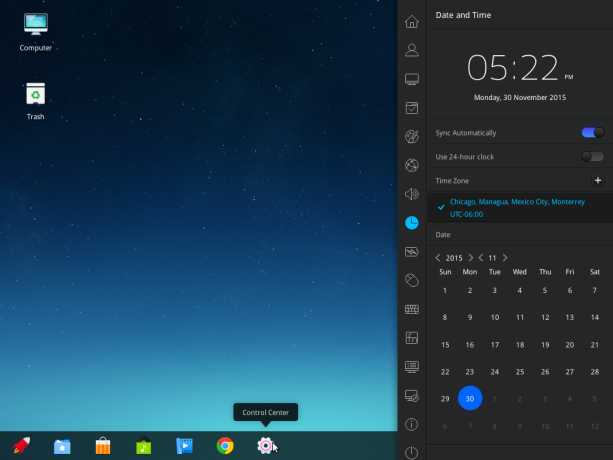 Deepin desktop comes with a fullscreen application launcher. It’s better than the GNOME Shell’s and Unity’s. 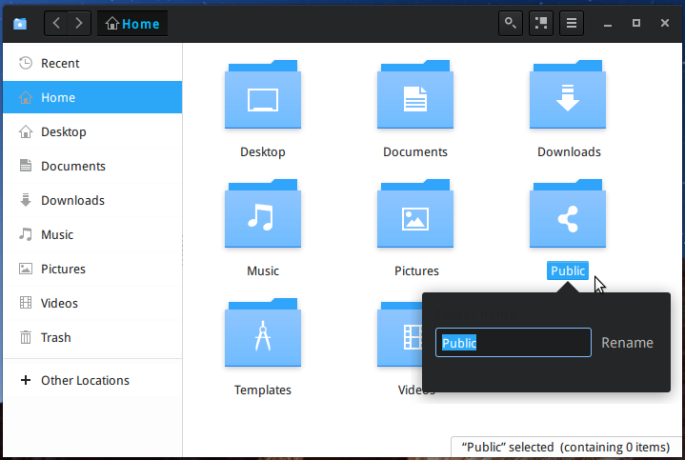 The view of the applications on the launcher can be switched to several modes. What you see in Figure 5 is the default. This is the category view of applications on the launcher. 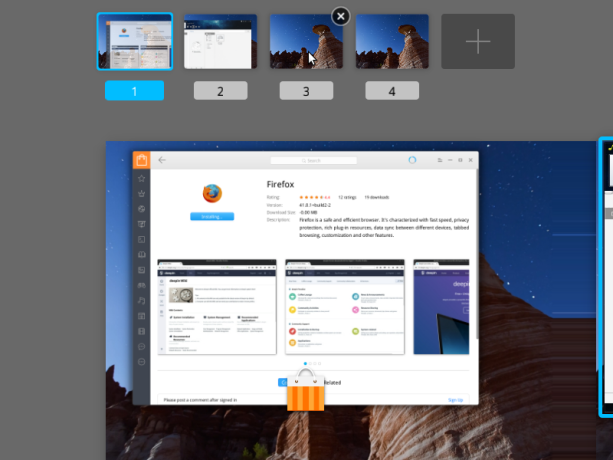 Like most desktop distributions, it comes with four workspaces or virtual desktops by default. 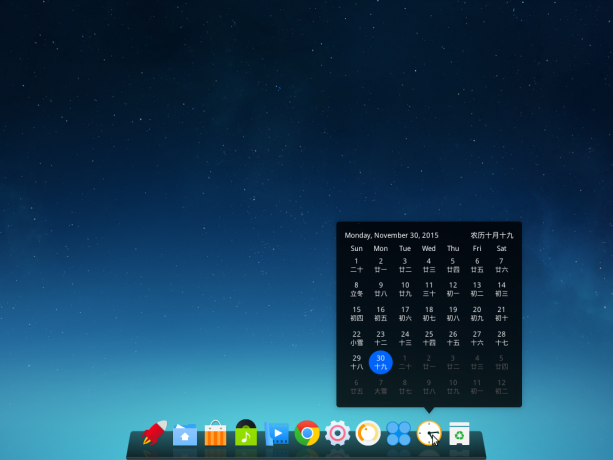 And like most aspects of Deepin, it’s beautifully designed. Out of the box, three Hot Corners are active. All Hot Corners can be enabled and assigned in-situ. 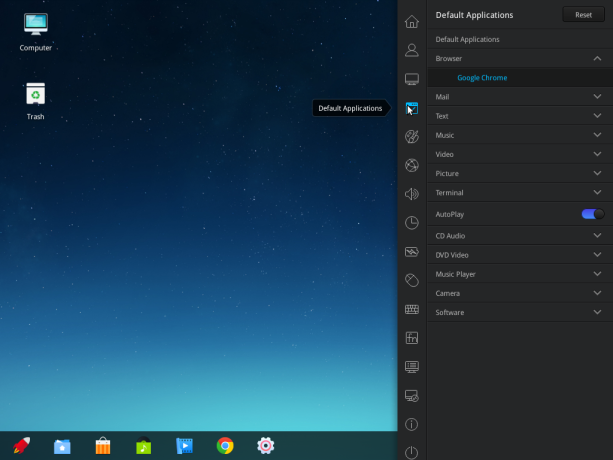 What separates Deepin Desktop Environment from other desktop environments, dead or active, is the Control Center. It’s simply the best. Practically every aspect of the system can be modified from the slide-in Control Center. You can change your avatar. Modify GRUB settings. 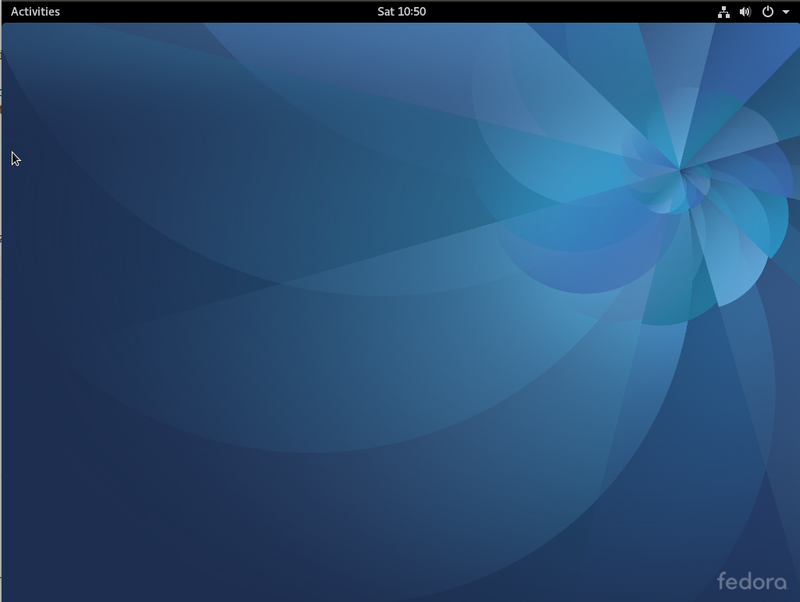 Changing the GRUB background has never been easier; it’s a simple drag-and-drop operation. View and apply available updates. Another cool feature you’ll find in the Control Center, is the Remote Assistance, which I’ve written about at Chrome Remote Desktop is used on Deepin 15 for remote assistance. For command line wizards, the Quake Guake terminal emulator is integrated into the desktop. 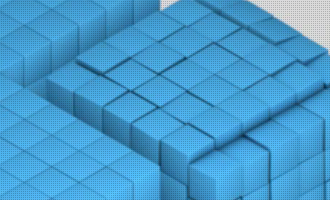 One of the many custom applications you’ll find on Deepin, is Deepin Store, the distribution’s graphical package manager. 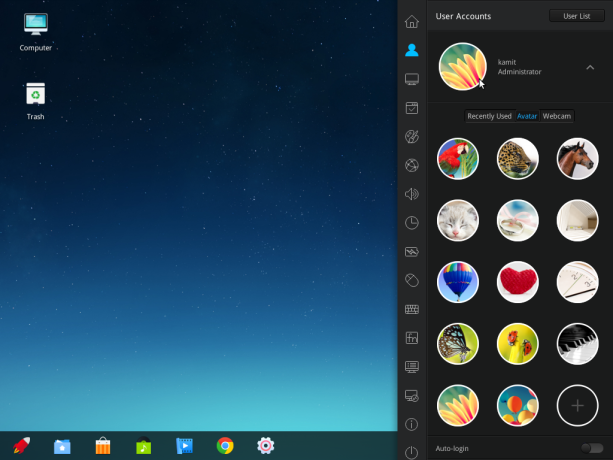 A beautiful desktop has to ship with a matching icon theme, which is the case on Deepin 15 alpha 2. I’m looking forward to the release of the stable edition. If you’ll like to test drive this edition before that happens, 32- and 64-bit ISO images are available for download here. You may read the Release Notes here. Try changing the repository to one that’s local to you. 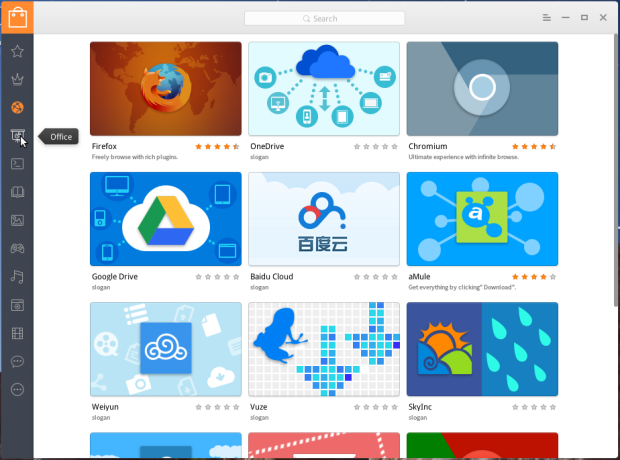 You can do it from Deepin Store. 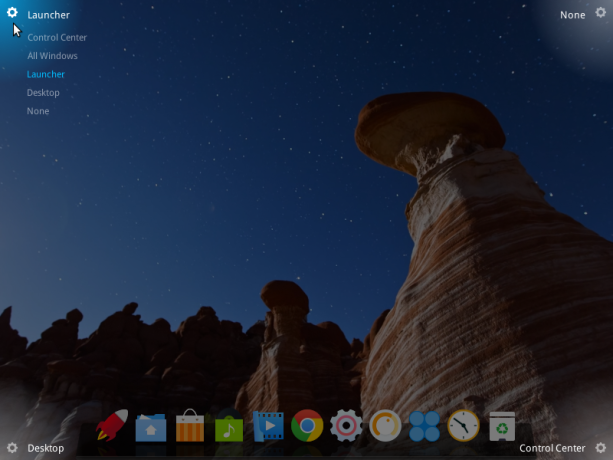 But i desperately waiting for Deepin to be stable enough for my daily driver. The default repository is slow, but if you change it, things get back to normal. Have you tried the latest edition? I’m going to have to wait longer 🙁 I tried Deepin 15 and I’m still experiencing issues using a proprietary NVidia graphics driver (GE Force 450). I was hoping the move to Debian would resolve this issue but it hasn’t. 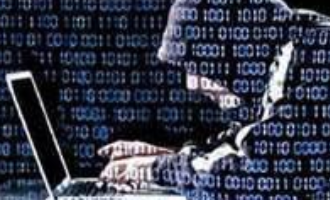 Demasiado Windows, demasiado Mac… Que triste falta de originalidad la del escritorio Linux. 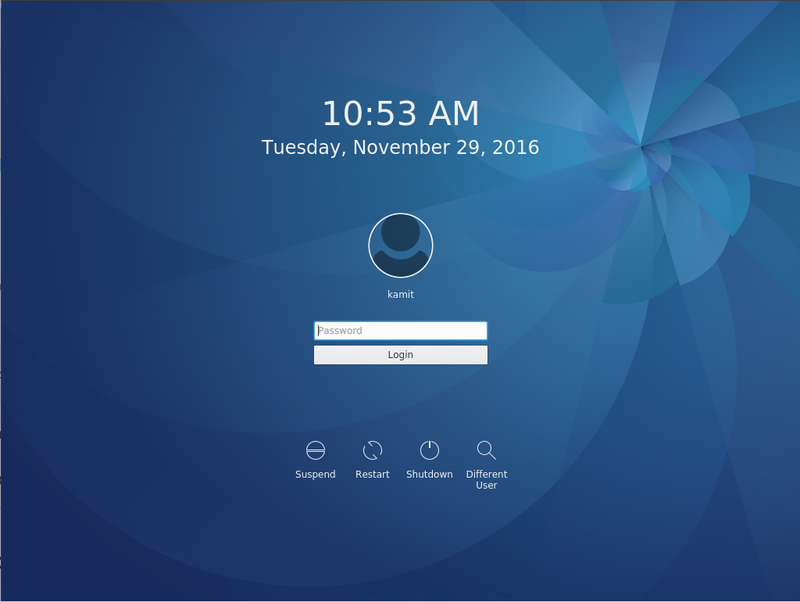 Linux Deepin keeps getting better and better, but is it still lacking support for disk encryption? Yep, the installer is very basic. 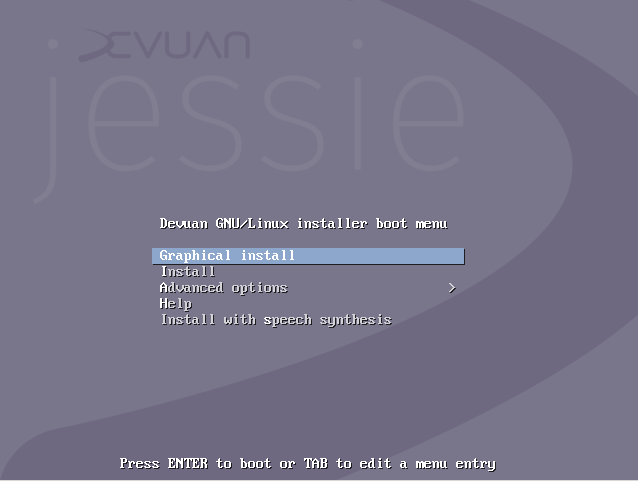 Now that it’s based on Debian, one could explore trying to use the Debian Installer on it. 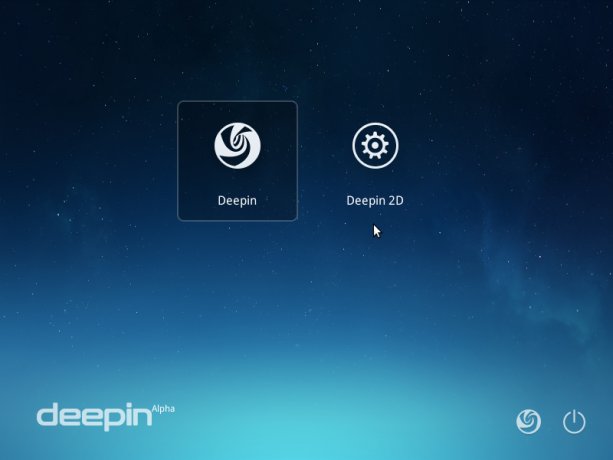 Deepin 15 is based on Debian, previous editions on Ubuntu. It’s nice they’re using Gala as WM. I’ve been wanting to love Deepin for over 2 years but I have an NVidia graphics card using proprietary drivers which Deepin 2014 and earlier has issues with. System will hang on startup and can’t use graphic acceleration in Wine. If they are going to use Debian as the base, I’ll give it another try. 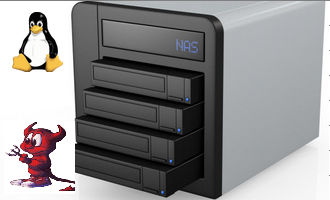 As far as elegance, this beats any distro hands down. You didn’t offer anything to support your frequent assertions that Deepin is “better”, ” best”, etc. That makes your post a love letter, not a review. Well, this is not actually a review. Just a screenshot preview. 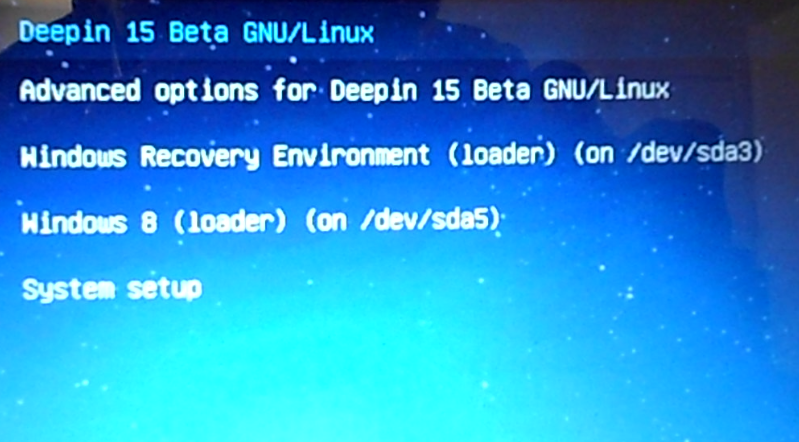 Just an important precision : until 2014.3, Linux deepin was based on Ubuntu. 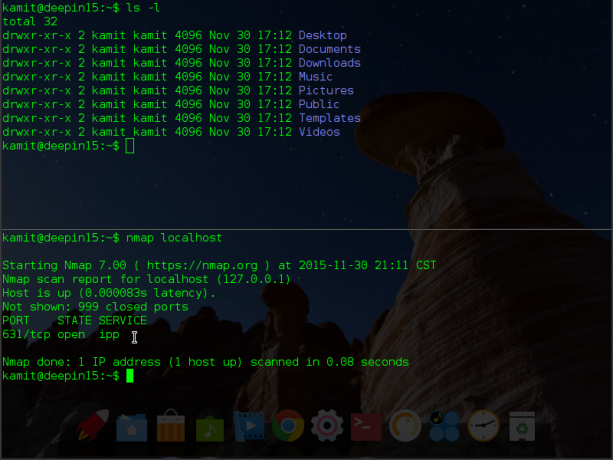 For this 2015 version, it’s based directy on Debian. That I appreciate it ! 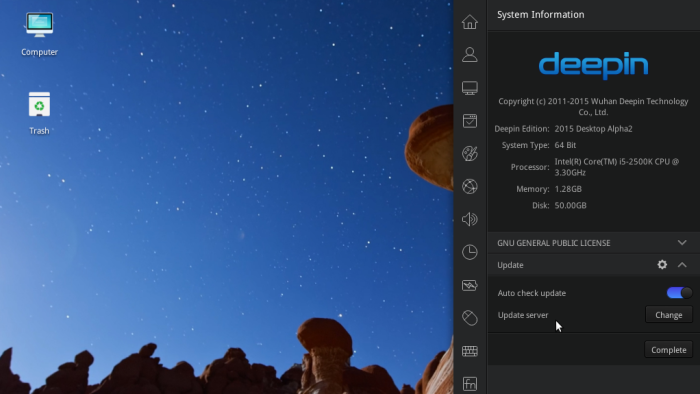 Deepin is available at other distros as Manjaro Deepin spin, that is also a great distro for those who prefer a more bleeding edge one, with great special tools as the kernel and drivers installer GUIs.